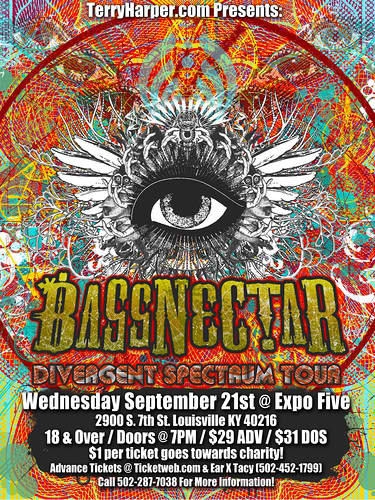 Bassnectar hits Expo Five in Louisville, KY on Wednesday, 21st September 2011! We are excited to welcome DJ Laura to the line-up for this event! More support acts TBA. TICKETS FOR THIS EVENT ARE SOLD OUT, THANK YOU LOUISVILLE!. 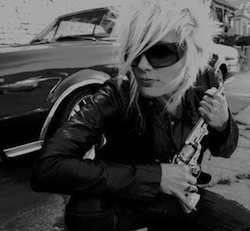 DJ Laura – has been DJing for the last decade and making her mark in the underground scene. Laura’s electronic journey will embrace you. Balancing hard-hitting drops mixed with bottomless low rolls, she produces and remixes delicious floor shattering beats. DJ LAURA makes it dirty and crunk. All said, DJ LAURA is HYPHY.